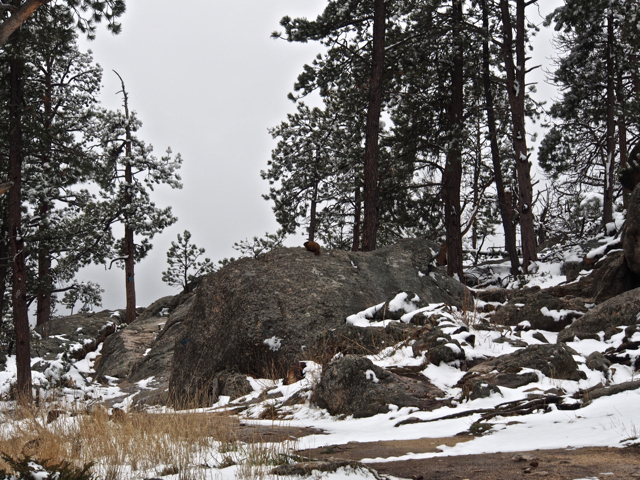 Snow fell in Custer State Park. My campsite alongside the creek was buttressed by the mountain on one side with a view of the fields on the other. The snow was only a dusting but I knew there would be more in the higher elevations. The shortest route through the mountains on Needles highway was closed due to icy conditions so I went the long way around. It was worth the trip. 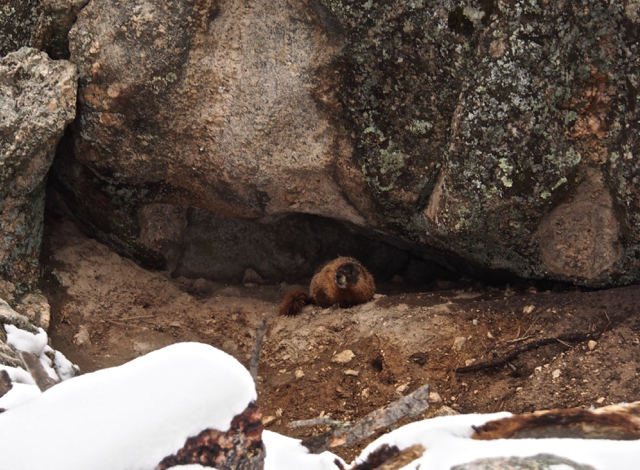 Walking around the lake in the snow was glorious and I found an unexpected treasure: Marmots out taking in the view. This entry was posted in Uncategorized and tagged Outdoors, tincantravelerPhotos. Bookmark the permalink. 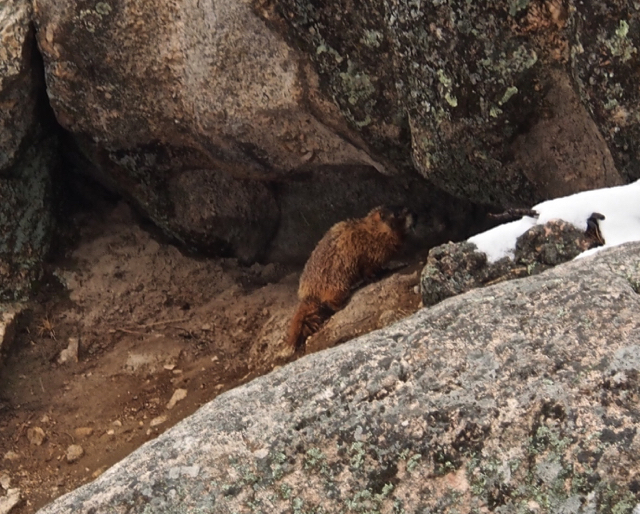 sounds peaceful and yet grand – love the marmots. Happy Easter to you! Thank you, AnnChristine. Happy Easter to you as well! You found some wonderful company here Annie! Wild ones with wild ways, Patti. I bet he wasn’t expecting to see you. Thought he had the area to himself because of the snow. Not many wander around in that weather. They are so cute. Love those little guys. What a nice surprise. Thanks for sharing their furry little faces. Nature is always giving us amazing surprises. I love it all. I did have the trail all to myself. Noone else out on those slippery slopes.